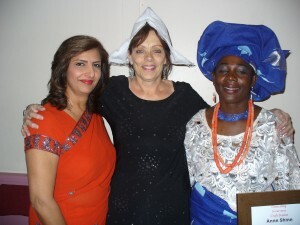 Over 65 women from different faiths enjoyed the diversity of their cultures at a celebration for Inter Faith Week. Among the activities at Heston Community Centre was mendhi hand painting, rangoli patterns and a demonstration of how to tie a Nigerian head dress. Somali ladies showed off colourful clothes, drink carriers and performed a traditional dance. Other dances from Gujerat and Israel were also enjoyed. Information was shared on clothing worn for weddings and other occasions before food from round the world was served. Thanks to all who contributed to the success of the event and to Elizabeth Azu for a celebratory cake. Feedback praised the chance to learn something new and requests were made to repeat the event. The Rt Hon Eric Pickles MP Secretary of State for Communities and Local Government attended a Big Iftar event in Hounslow this month and used the occasion to praise the contribution Muslims make to British Society. Iftar is the breaking of the fast each evening during Ramadan when Muslims fast during daylight hours. The Ismaili Muslim Community in Hounslow opened their doors for good fellowship and good food and to show non Muslims what the holy month is all about. Ramadan is a time when members of the community give generously to charity. The group have been busy packing boxes of items to donate to homeless charities as part of the Share a Smile initiative. During the evening Mr Pickles lent a hand to complete the last box. Guests present included representatives of the different strands of Islam and Baha’i, Christian, Hindu, Jewish, and Sikh faiths. Also present were the Yemeni Ambassador, His Excellency Mr Abdulla Ali Al-Rahdi, Lord Ahmad of Wimbledon, the newly appointed Under Secretary of State at the Department of Communities and Local Government and Seema Malhotra, the MP for Feltham and Heston. Living in Britain, Muslims are encouraged to reach out, to build bridges and to work with colleagues and neighbours around them who are not Muslim, to share their faith and build on their shared values. The Big Iftar is a national initiative, started a year ago as a way of doing this. Representatives of HFOF were pleased to accept generous invitations to two other iftar events this Ramadan, the Centre of Spirituality and Cultural Advancement in Feltham and the Darussalam Centre in Heston. As part of Multicultural Month Saturday 25th October is to be day of music and dance. 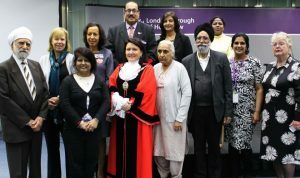 It will take place in the Treaty Centre in Hounslow. Carillion who run Hounslow Library Services are inviting Music and/or Dance groups who would like to take part to get in touch. In addition, groups representing cultural organisations are welcome to run a stall to share information, make or sell crafts or other merchandise or run workshops. African Drummers and Brazilian Capoeira Dance are already booked to take part. Celebrate the practical contribution that faith communities make to society through social action. Support faith groups in undertaking new multi-faith volunteering projects at local level. Constituted bodies, such as registered charities, charitable incorporated organisations, unregistered community groups, clubs, and societies, delivering projects in England are eligible to apply as long as they are part of the Together in Service Fellowship. Target community need that is informed by local research and local consultation. Focus support to achieve maximum effectiveness. Enhance community and voluntary activity. Encourage best practice among community and voluntary groups. Give help where it is needed most. Contribute to the overall Together in Service objectives. Involve faith-based groups/people, with preference for multi-faith projects. Engage people from more than one faith community; for example, Buddhists and Muslims, or Christians and Hindus. Deadline for applications in 25th August and 1st December 2014. Projects must be completed by the end of March 2015. It would be great if two or more faith groups in the Hounslow area could get together to apply for funds to run a project. See http://www.togetherinservice.net/ for examples and support available. If a major incident takes place in the Borough of Hounslow in which there might be risk to life, property or public services, it is the Contingency Planning and Resilience Section of Hounslow Council which takes responsibility for coordinating a response by the emergency services and the local authority. The bodies involved, depending on the incident, include the police, fire service, ambulance service, Health authority, Hounslow Highways, Hounslow Homes and the Red Cross. Faith communities, with their access to a large membership, buildings and a commitment to assist in times of need, can also help. An Emergency Planning Exercise held in March 2014 gave useful insight into how an incident develops, what help might be required and how the different agencies and voluntary groups need to be coordinated in order to offer help effectively. HFOF and representatives of several faith groups took part. 2. passing on information to the coordinators of Emergency Planning of any members of their community who might be at risk, any particular cultural or religious needs that they might have and providing assistance with language if necessary. 4. providing extra volunteers to assist the emergency services e.g. filling and distributing sand bags, handing out blankets. For this help to be most useful to the Contingency Planning Department, it would be helpful to establish in advance a clear system of information sharing and to know which faith groups are likely to be able to help and in what way. Work is continuing to link up any faith group which may be able to help the Contingency Planning Unit. How can music help people with dementia from diverse communities? 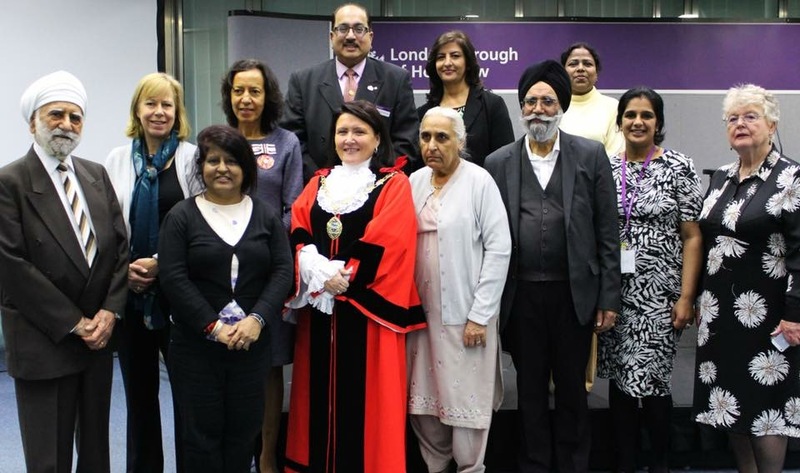 A recent event put on by the Hounslow branch of the Alzheimer’s Society looked at this issue. For more information contact Caroline on 0300 555 1197/07753311143 (email: caroline.wairia@alzheimers.org.uk) or or Joanna on 020 8580 1057 (email: Joanna.Newton@alzheimers.org.uk).